Tuscany and Umbria offer some of Italy's most diverse and rewarding landscapes and wedding options include historic cities, pretty hill-top towns, ancient castles, villas and country houses. Whatever your choice, the ranging panoramas are a visual feast of olive groves, rolling hills, endless vineyards and more. Food is traditionally quite similar - both regions particularly love wild boar, truffles, mushrooms, wine & olive oil. Tuscany is famous for many things: historic cities, beautiful landscapes, exquisite food and wines and its rich artistic legacy. 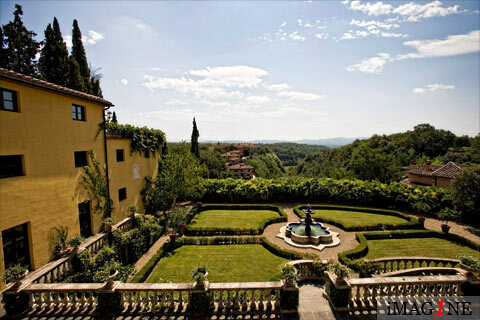 Through the ages to present day, Tuscany has been home to many aristocratic gentry. A wealth of stunning villas sit high on hill-tops and deep in the countryside ensuring that the choice of wedding venues is vast and ranging. Host to 6 world heritage sites (the historic centres of Florence, Siena, San Gimignano & Pienza, the Cathedral of Pisa & the Val d'Orcia), it is no small wonder that Tuscany attracts millions upon millions of tourists year in year out. 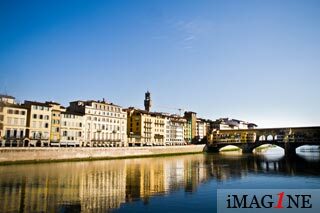 Florence is one of the most visited cities in the world. Florence and the surrounding area is nothing short of stunning. Tourists flock to Florence in their thousands year in, year out and you'd be pushed to find anyone who has visited Florence, who hasn't fallen head over heels in love with it. With this in mind, combined with the fact that weddings in Florence are abundant and the choices of wedding venue are many and varied, I have devoted an entire page to Florence and its surroundings. So, if you're looking for a wedding photographer in Florence, there's a lot more information and ideas for your wedding there - from someone who actually photographs weddings in Florence! The province of Siena (often misspelt as Sienna) is teeming with beautiful towns and villages including Siena (a city in fact) itself, Pienza, Montepulciano, Montalcino and San Gimignano. Siena, like Florence, is famous for its cuisine, art, museums and medieval cityscape. 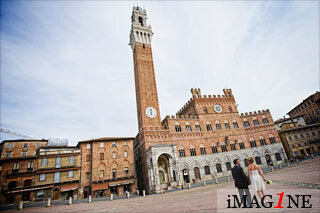 Siena Town Hall is a wonderful place to marry. The rich terracotta-coloured walls in the wedding ceremony room in Palazzo Pubblico are wonderful. Outside, under the impressive bell tower you find yourself in the famous 'Campo' circled by bars & restaurants. It's not often a wedding photographer is able to capture this scene without hoards of tourists - but on the right day and at the right time...see image left! Bordered by Tuscany to the west, Umbria is the only one of Italy's 20 regions that doesn't have a coastline nor a common border with other countries. Mostly hilly and mountainous, Umbria is sometimes referred to as the green heart of Italy. Noted for its tobacco industry, olive oil, vineyards and for producing almost half of Italy's black truffles, Umbria's rolling hills burst with colour and are dotted with hillside medieval villages and towns. Whilst Perugia is the capital of the region, Assisi is the crowd-puller, the birthplace of St. Francis. and home to the beautiful Basilica of San Francesco. For weddings, Umbria retains the style of Tuscany and the cuisine is equally good. Venues can be either rustic or stylish but the prices are generally more sympathetic than in Tuscany. For a rustic feel check out Castello di Petrata and for exampes of some of the most beautiful hill-top towns anywhere - have a look at (in order of size!) Orveito (which I chose for my own wedding), Todi, Montone & Montecastello di Vibio. To those that live here (this photographer included), Umbria is something of a well-kept secret. A handful of Hollywood directors who have homes here would probably agree. I've chosen to highlight Orvieto since it's my favourite of the larger Umbrian towns. Situated on a large, flat volcano rock, Orvieto, in the south west of Umbria, was a major centre of Etruscan civilisation. Famous for its white wine, it also has a cathedral with one of the most impressive facades in the world. La Badia, on the outskirts of the city is also one of my personal favourite wedding venues. An Abbey dating back to the 6th century which has lovely views across to Orvieto itself; the sense of history can really be felt and the chapel is magical. Not far from Orvieto & about half-way to Assisi, Todi - a lovely little hill-top town sits overlooking central Umbria. Visible from Todi, is tiny (but absolutely stunning) Monte Castello di Vibio. The very stylish venue of Fattoria di Vibio is located close by. It's a hidden gem. Perhaps the prettiest of all hill-top towns is Montone. Located 30 minutes north of the RyanAir-served Perugia Airport, it's well worth discovering. Remember to check out my wedding photographer's guide to Florence!